Basement: Yes, Slab "Walls: Concrete"
Like new former show suite in the Ash Creek Condominium. 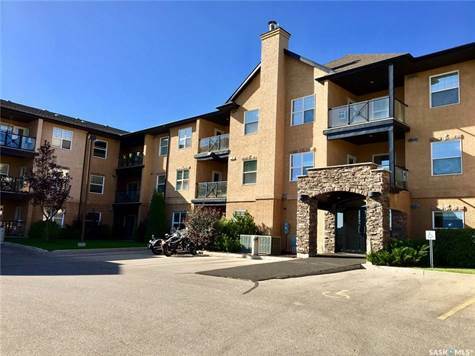 Features of this two bedroom condo include maple kitchen, granite counter tops, laminate flooring, contemporary lighting package and in-suite laundry. The master bedroom is over sized with a walk in closet. Quiet covered patio. Located close to all amenities, transit and easy access to downtown and The U of S. Great price and location!